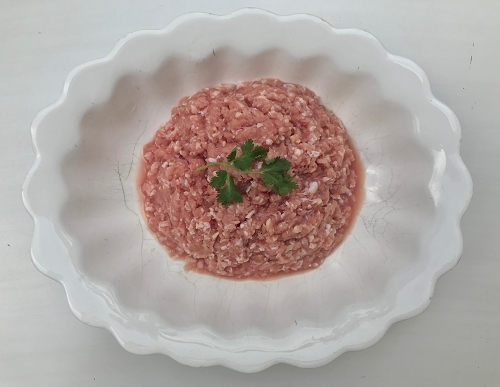 This ground turkey comes from pastured turkeys which are free-roaming and enjoy natural sunlight and disease free living conditions! They get to forage naturally for their typical diet of insects, worms, seeds, and plants. In addition, they are given healthy food scraps/leftovers from the farmer's kitchen (which they love! ), and a mineral supplement feed. They are NOT fed any soy-meal. This is ideal for individuals sensitive to soy. My family loves the turkey bugers. But it doesn't stop there. I also make turkey chili and turkey picadillo. I recommend the MF ground turkey.